RESPAWN Products, a leading gaming furniture maker, today announced the launch of a new lineup of gaming desks. 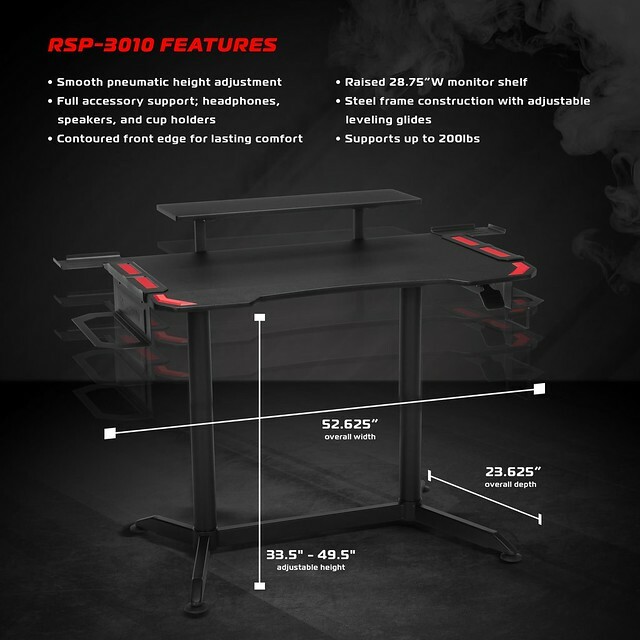 Composed of two major product series, the formidable RSP-1000 and height-adjustable RSP-3000 classes are available in an array of colors. 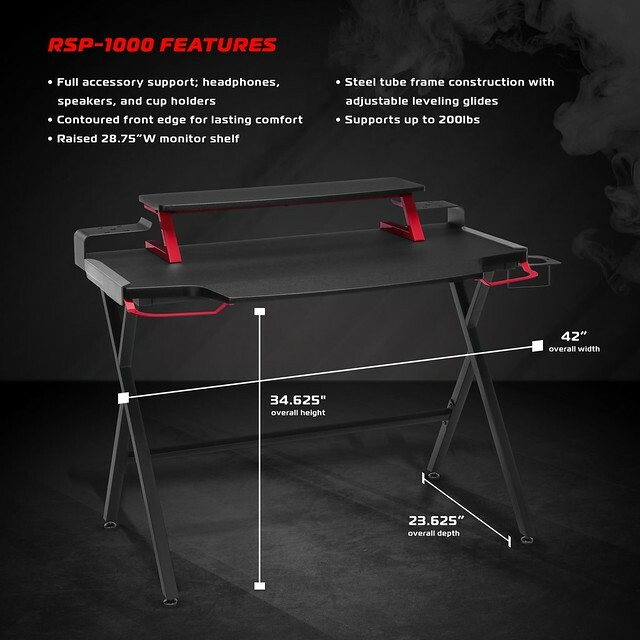 The four new desking products join the RESPAWN Products gaming furniture offering, alongside the ten current PC gaming chairs currently available. Beveled front edges fit to allow players to cozy up to their station, allowing forearms to rest comfortably on desk. 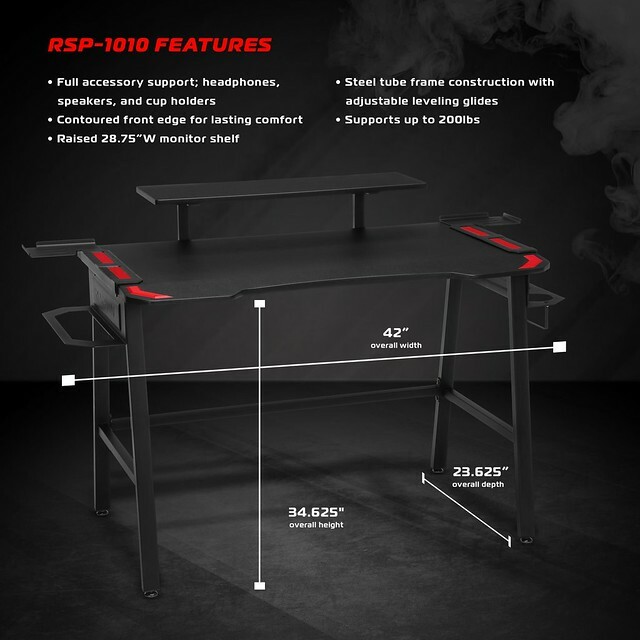 The RESPAWN-3000 series desk features height adjustable bases, allowing the gaming desks to go from conventional sitting desks to standing desks.